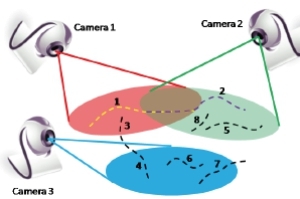 Camera network aims at generating useful information from multi-camera videos. 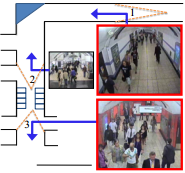 Because visual surveillance systems collect a huge amount of video data from many different scenes, it is very important to collect and combine information from different sources together. 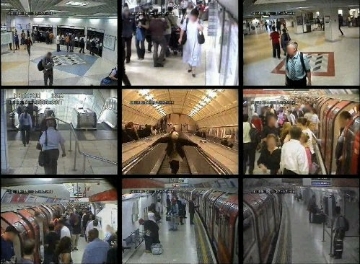 Our recent works based on multiple cameras include person re-identification and activity analysis. Xiaogang Wang. Pattern Recognition Letters, Vol. 34, pp. 3-19, 2013. X. Wang, K. Tieu, and E. Grimson. IEEE Transactions on Pattern Analysis and Machine Intelligence (PAMI), Vol. 32, pp. 56-71, 2010. C. C. Loy, T. Xiang, and S. Gong. IEEE Transactions on Pattern Analysis and Machine Intelligence (PAMI), Vol. 34, pp. 1799-1813, 2012. X. Zhu, S. Gong, and C. C. Loy. 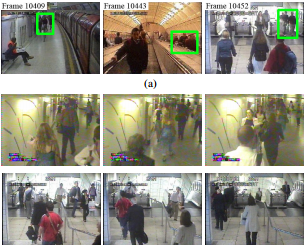 In Proceedings of British Machine Vision Conference (BMVC), 2012. C. C. Loy, T. Xiang, and S. Gong. 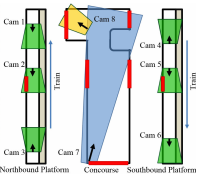 International Journal of Computer Vision (IJCV), Vol. 90, pp. 106-129, 2012. C. C. Loy, T. Xiang, and S. Gong. 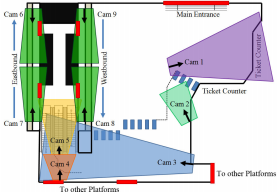 In Proceedings of International Conference on Computer Vision (ICCV, Oral), pp. 120-127, 2009. C. C. Loy, T. Xiang, and S. Gong. 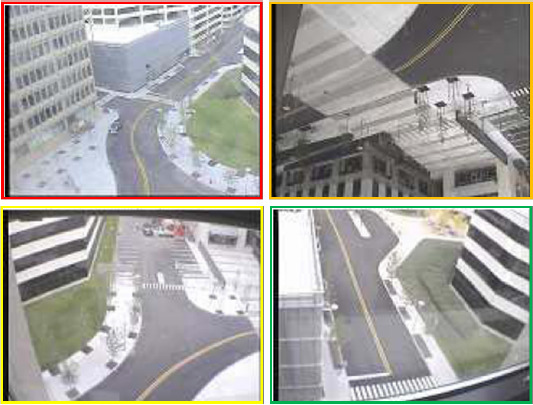 In Proceedings of IEEE Conference on Computer Vision and Pattern Recognition (CVPR, Oral), pp. 1988-1995, 2009.